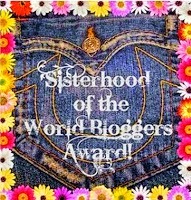 This award is used to connect women bloggers all over the world. It acknowledges that we all have unique voices, and that they deserve to be heard. I was nominated by Tessa @ Crazy for YA. Thank you very much Tessa! 1.Thank the blogger that has nominated you and link back to their website. 2. Put the award logo on your blog, and answer the ten questions from the blogger who nominated you. 3. Nominate ten bloggers of your choice, and write ten questions for your nominees to answer. My favourite would have to be The Fault in Our Stars by John Green. I love that the film wasn't too different to the book, as a lot a book-to-movie adaptations loose their authentic feel. I would like to go to Paris, and see all of the amazing sights. I really hate flying, so I wouldn't go too far! If your personality could be represented in a colour, which one would it be? Mint Green. I think I am quite chilled out, and very peaceful type of person. What is your favourite thing about reading? I love that I can escape from my daily life, and I can live through these amazing characters. As I am reading, I always feel like I am a reporter, watching people's lives unfold. People often under estimate the power of words on a page. Blogging is an amazing concept- it is brilliant that all book lovers can connect together. I adore book blogging, as I can share my passion with everyone, in my own way. If you could meet any author, who would it be and what would you say to them? I would want to meet J.K Rowling, and talk about all the Harry Potter books, asking her how she got the ideas for them all. I find it astounding that one main idea can branch out to seven, successful books. What is your favourite knock-knock joke? I moustache you a question, but I'll shave it for later. My favourite book of 2014 was The Manifesto on How to Be Interesting, by Holly Bourne. Do you prefer an e-reader or a paperback? I like reading books on my Kindle- I can read as many as I want- without taking up storage space. But, I do love a good paperback- I will always try to read the printed word, no matter how advanced e-readers become. What are you looking forward to the most in 2015? I am really looking forward to watching my blog develop through the whole year; as I can tell there has been such a difference from the beginning of 2014, to now. What have you learnt from becoming a book blogger? What are your 2015 blogging goals? If you could be any fruit, what would you be? Why did you want to become a book blogger? If a famous person could play you in a movie, who would you choose? If you were stuck in a lift with five authors, which authors would you want with you? If you could have one superpower, which one would you like? I also think that The Fault in Our Stars movie was practically perfect. Everything was true to the story, even the music! I still prefer paperbacks too, even though my Kindle is AMAZING. I cannot wait to see how your blog is going to grow this year too. A reporter! Wow! That's actually accurate! I've never thought of it like that! Book Blogging does connect all the book lovers together! I got to meet so many amazing people through mine!